In-ear monitors are something that no self-respecting musician or audiophile would do without. These devices which are also called IEMs, are made to fit comfortably and securely in your ear canal. They provide sound isolation that is way better than what you’d get with the usual earbuds. Oftentimes, these in-ear monitors are used by stage performers so that they can hear sound that is clear and isolated. It makes performing on stage much easier too. 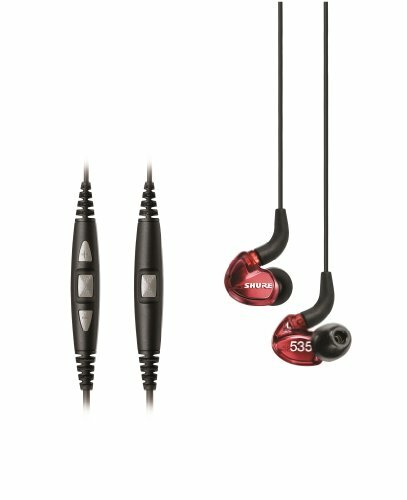 IEMs can either be sold as full sets that come with the wireless device that is used during playback while on stage… or the IEM earphones can be purchased separately. Our research showed that there are many makes and models on the market at different prices. However, some are priced way more than they should be and some are not as good as they claim to be. We tested several models and narrowed down the list to the best in-ear monitors on the market. Once you’ve finished reading this article, you should be able to make an informed decision during purchase. In order to get the best in-ear monitors for yourself, you need to know your tastes and preferences. Choose a monitor that fits in with your style rather than one that has the most features, etc. You have to be comfortable with what you get. Noise Isolation Capabilities. IEMs have passive noise-isolation that can actually rival active-noise cancellation offered by other headphone models. Usually, people use in-ear monitors to block out sounds such as airplane noises or performers may use it to shut out the raucous noises from an enthusiastic audience. However, if you wish to be aware of the sounds in your surroundings, you should choose monitors that do not have passive noise-isolation abilities..
Full Package or Earphones Only. Whether you get a full package or just the earphones will depend on your needs. If you’re a full time performer, it would be wise to invest in a “complete package” that includes all the required wireless radio transmission equipment to make it work. However, if you already have all that, and all you need is a good pair of high-quality headphones to bring out the best of the IEMs, you could get a headphones model like the Shure SE535LTD-EFS. Price. Depending on the model of the IEM, it can either be pricey or affordable. It all depends on the features, components used and the technology. You can get a relatively reliable IEM for slightly less than $50. These IEMs will have good audio and passive noise isolation. The premium IEMs will cost north of $500 and have a whole range of features. It all depends on what you need. These in-ear monitors are quite pricey but we had to agree that they were well worth the price tag. They’re an excellent investment. These earphones are comfortable because of the soft foam tips. Our testing showed that they were more comfortable than the tips from other IEMs. You get faceplates that come in red or blue and these are interchangeable. The bass is balanced and the sound quality is excellent. Many users have said that the Westone can actually match up to the Shure and Bose models in terms of sound quality. Audiophiles will love this model and if you want a great listening experience and you can afford this in-ear monitor, do get it. Blocks out ambience noise excellently. Simple, classic and can be customized. 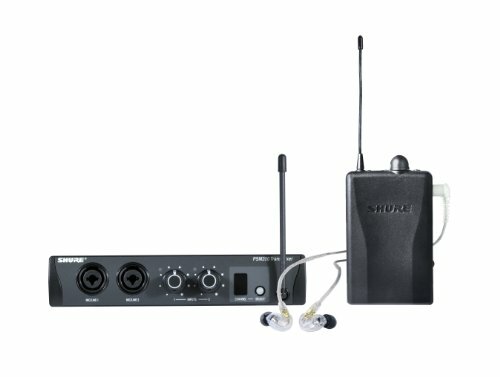 The Shure P2TR215CL-H2 Bodypack System is ideal for performers or if you’re in a band. You get a transmitter, bodypack and a pair of awesome Shure SE 215 Earphones as a set and at a very reasonable price. The MicroDriver earphones that come with this set is highly versatile and can be used both on-stage and with your MP3 player in the privacy of your home. That’s fantastic. Since this model is not as expensive as the other Shure headphones, you can consider them as good entry-level IMs. Many musicians swear by it and say that it’s better than many on-floor monitors that they have used before. Is a complete IEM kit that comes with a transmitter and a bodypack. Performs well off-stage and on stage. Is an upgrade from on-stage speaker monitors. The moment you look at the Shure SE535LTD-EFS, the appearance will catch your eye. It looks fantastic. The design is sleek and the red color is vibrant and very cool. These are some of the most expensive IEMs sold out there… and for very good reason too. The Shure SE535LTD-EFS has powerful driver and is way more impressive than most other IEMs on the market. The sound quality is excellent. It doesn’t just look good but it sounds fantastic too. The audio reproduction is accurate and the noise-isolation is on point too. The wide frequency range can handle most genres of music and is well-suited for both private listening or for stage use. It is very versatile and if you can afford it, this model will really be a good buy you will truly love it. Perfect for audiophiles or musicians who need excellent sound quality. One of the best and most high-quality IEMs on the market.